Seasonal Archives | Markham Garage Doors Ltd.
You probably don’t think about a ‘busy’ time of year for your garage. But, if you did, you’d realize that you’re probably in and out of your garage more in the autumn months than at any other time of year. If you haven’t done some or all of these yet this fall, you’ll probably be doing them soon. You’ll be putting away your garden furniture; taking out your rake; storing your summer garden tools; finding a place for the patio umbrella; getting the hot tub cover out of storage; putting away all the summer toys; polishing off the snow blower; rolling out the lawn mower to mulch the leaves; finding the fall lawn food; and wondering where all that extra stuff in the garage came from during the summer. In the midst of it all, you’ll probably wish your garage door was a revolving one. All that traffic in your garage can have two side-effects. First, without some planning, you could end up doing more work than you have to. Second, without some precautions, you could do more damage than you want to. Here are just a few tips to help avoid extra work and reduce any damage. If yours is like most garages, storage space is at a premium. It might sound like more work, but in the end, you’ll reduce your effort, and find the space you need, if you clear out your garage and make a plan for where everything goes. All the traffic into and out of your garage can take a toll on the door and garage door opener. If you can, plan your activities and keep your door open or closed as long as possible. But, remember, to protect everything in your garage and safeguard against theft, don’t leave the door open any longer than you have to. When you’re cleaning the garage, and putting things in storage, you’ll have less chance of damaging your car if you move it out of the way. The more effort you put into making it easier for your garage to get through its busy season, the less busy it will seem! If you happen to notice your garage isn’t working as smoothly as it normally does or it is making strange noises, you may be in need of garage door maintenance or service before the winter months set in! If this is the case, give the experts at Markham Garage Doors a call or fill out our online form to request service. Our team specializes in garage door installation, service and repair, and can get your garage door up and running again during its busiest time of the year. It’s the middle of a cold winter and, if you happen to use your garage as a place to park your car (really?! ), the floor’s a mess. With all the snow falls we’ve had so far in Markham and Southern Ontario, your car picks up salt, sand and other road debris in the snow and slush that clings to it as you drive. Then, after you get home, the heat of your car’s engine raises the temperatures in your garage enough to melt all the snow. And what’s left? All that salt, sand and dirt ends up on your garage floor in a damp pile that doesn’t dry too quickly because it’s sitting on uncoated concrete. Even when it dries, it’s not easy to clean up because it grabs onto the porous surface of the concrete. You’ve seen the do-it-yourself kits at the hardware store. An epoxy coating for your garage floor seals the concrete makes it easier to clean and it looks great. Epoxy finishes are also a good idea if you intend to use your garage for an added living or working space in your home. What is the porosity of the concrete? If it is very smooth or has been previously coated with another type of sealant, you may need to use a diamond grinding machine to make it porous enough for the epoxy coat. If so, and the cracks are large, they must be cleaned and filled with a sealant. What will you do with the contents of your garage while you seal the floor? It can take four to six days to prepare the floor, apply the epoxy and let it fully cure. You may need to find space elsewhere in your home or rent temporary storage. Should you consider using a professional to do the work? Depending on your answers to the questions above, it may be worth the added cost and time-savings to have a professional garage floor refinisher do the work for you. And many of them offer temporary storage as one of the services they provide. Do you want to try a polyurea finish instead of epoxy? Similar to epoxy, polyurea finishes are increasingly popular. It’s applied in similar ways as epoxy and lasts just as long, but it is far more ‘elastic’, which helps if your floor has a lot of cracks. It also cures faster and is more scratch-resistant than epoxy. The downside? It’s about three times more expensive. The good news is that, by answering the questions above and doing things like grinding and sealing the cracks in the floor, you’re well on your way to having the job done. To improve the adhesion of the epoxy and avoid the white powdery stuff that appears on the surface of unsealed concrete, you’ll need to give the floor a mild acid bath. The acid opens up the pores of the concrete, giving the epoxy more to grab. Especially if you have a two-car garage or larger, it’s wise to section the floor and do one section at a time. You can also start by doing the edging and area around the drain first and then do each of your sections. While you should spread it evenly, the thicker the coat you apply, the longer the finish will last. Whatever you do, don’t try to ‘stretch’ how much epoxy you have to last for the whole floor. Whether you go with epoxy or polyuria, you can choose from a wide range of finishes that will last longer than simple paint and make your floor look better too. And it will stand up to all that salt, sand and dirt your car brings into the garage and be easier to clean. If you’re redoing your garage floor, it might also be a good time to consider a new garage door! Markham Garage Doors offers a wide selection of residential and commercial garage doors. To learn more or get started, call us today and request a quote! So when was the last time you lubricated your garage doors? If you’re like most of us, probably never or maybe just a few times at best. And even if you keep a well-maintained home, including tending to your garage doors, the middle of winter is not likely the time you’d choose to do it. But the dryness of colder winter temperatures and the dampness when temperatures get milder can cause garage doors to squeal, or even stick during operation. If your door is over two years old, you should lubricate it twice a year. And the problems winter can cause make it a good time to do so. Luckily, it doesn’t take long to apply lubricant to all the parts of the door that need it, so you don’t have to worry about being out in the cold for too long. You need to lubricate all the moving metal parts and the PVC seals between the door panels and at the bottom of the door. The first trick is to use the right lubricant in the right place. A petroleum-based lubricant, applied to the springs, hinges and roller bearings will protect them against the rust that winter can cause. It will also reduce any squealing and sticking and make the door operate more smoothly. Do not lubricate or the surface of the rollers or the tracks they roll in, but make sure they are both clean. A silicone-based lubricant on the seals between door panels will help them last against the friction they go through when the door opens and closes. Also, apply the lubricant to the weather seals on the frame around the door to protect them from UV rays. And apply some lubricant to the bottom seal of the door to prevent it from sticking to the door jamb. That’s it, you’re done. Now you can go back inside and get warm knowing that your garage door is all set to endure what’s left of winter. If you prefer to let your garage door maintenance to the professionals, we understand. Contact Markham Garage Doors today for all of your garage door service needs. If you regularly park your car in the garage, you probably do it year-round without giving it an extra thought. Except, in winter, you just love the fact that you can get into a car that is completely free of snow and ice even after a night-long blizzard (not to mention the guilty pleasure you get from driving past neighbors who’ll be late for work because they’re still chiseling out!). But the idea that it’s always best to keep your car in the garage has been challenged by those who feel that, when you do so in the winter, it can cause more harm than good. If you park in the garage in winter, you’ll remember those times when you’ve arrived home during a storm with your car covered in snow and slush from the road. Yet when you headed back out a short time later, your car was once again snow- and slush-less. Nice. But, those who question the benefits of winter garage parking say it is that melting, caused by the heat of your engine in the enclosed garage, that causes problems for the car. Primarily, because the slush from the road contains corrosive salt when it melts, the salt comes in closer contact with your car’s body panels and undercarriage. The salt-carrying moisture doesn’t evaporate very quickly in the damp conditions. In a way, it can be like giving your car a salt bath. According to the Globe & Mail, the constant shifting between hot and cold, by taking your car in and out of the garage, especially if the garage is heated, can also deteriorate the seals on your car. Regular washing of the car in winter and extra rustproofing can help delay the onset of rust regardless of its cause. The verdict is still out about whether you should or shouldn’t park your car in the garage in winter. If you simply enjoy not scraping and defrosting after a storm, then it might not matter. With winter approaching us here in Markham, many homeowners start to think about energy costs and how the insulation in the attic and walls can help reduce them. Like a blanket that keeps you toasty on frosty nights, insulation keeps your home warmer by preventing the air heated by your furnace from escaping. It makes sense because you spend a lot of money heating that air and, without proper insulation, you’re literally pouring that money out the window, or through the roof, or however, else the heat is lost from your home. And insulation does a similar job in summer too by keeping warm air out and your costly cool air in. All home insulation comes with an R-value that tells you how good the insulation is at preventing heat loss. The higher the value, the better the insulation. While R-value is the most important factor in choosing insulation for a home, few homeowners think twice about the R-value of the insulation in their garage door. Yet, if you’re looking at a new garage door, you should pay as much attention to its R-value as you do to the R-value of your house insulation. From similar benefits as home insulation to factors in garage door construction that can affect its insulating ability, there are many reasons to start paying more attention to the insulation in your garage door. This is one benefit that is the same for insulation anywhere in your home. It’s a mistake to think that because there’s a door on your garage that your home isn’t affected by the temperature of the air inside it. Regardless of how well your garage is insulated, you most likely don’t heat it. That means temperatures inside your garage will eventually reach the same levels as temperatures outside, in both summer and winter. Some heat from your home does escape into your garage in winter, which can help keep the garage relatively warm. If your garage door is not well insulated, that heat will be lost faster than if it was properly insulated. Well, insulated garage doors will help keep your garage warmer and reduce your home heating costs. Even worse than the problems freezing temperatures can cause to the things you keep in your garage, like your lawn mower, it’s the temperature variations that happen in a poorly insulated garage that can do the most damage. Particularly in spring and fall, when nighttime temperatures are cool and daytime temperatures are warm, those variations can cause condensation in your garage. That condensation will to only increase the chance of rust forming on metal objects, but it could help mold to grow. There are different types of insulation used on garage doors. The two main types are polystyrene foam, or foam panels, and polyurethane foam, which is sprayed on during the door’s manufacturing process. Polystyrene panels are made to standard sizes. Even if your garage door manufacturer chose a fairly tight fitting panel, there will always be gaps in polystyrene insulation. Gaps that let in cold. Polyurethane insulation is sprayed on and fills most or all the gaps in the door’s panel to provide better insulation coverage. Regardless of what type of garage door insulation you have, another weak point is the gaps between the panels of the door and the gaps around the outside edges of the door. If they are not well sealed when the door is closed, your insulation can do nothing to stop the passage of heat. The problem with these gaps is that the R-value of the door is most often related to the insulation’s R-value. But the gaps can reduce the effective R-value of the entire door. From noise reduction to how easily your car starts in winter, you get many other benefits from the insulation in your garage doors. Next time you’re shopping for a garage door, make sure it is well insulated and well-sealed. Markham Garage Doors offers a large selection of insulated garage doors. Contact us today to find the best option for your home or business! Summer is a time when homeowners and their families enjoy many outdoor activities in and around their properties and neighborhoods. Some will take pleasure in gardening and yard work, others will prefer to relax or entertain by the pool, and still, others are sports/fitness enthusiasts; whatever the inclination, there are plenty of reasons to get outside and soak up the sunshine and warmth of summer. Amid all of this activity, one element that largely goes unnoticed is the number of times that family members exit and enter the home on a given day; in the summer, the most common mode of access for many families is through the garage, which in turn means the overhead door gets opened and closed far more often during this timeframe than at other times of the year. And for any families with school-aged children, the pending summer recess can have a direct bearing on how often their garage door will go up and down. Sometimes, however, the garage door can be taken for granted, in that it is generally very reliable; whether opened manually or by an automatic opener, the operation of the door is so consistent that it is simply expected to work as it should each and every time. And it is this level of complacency that can result in serious repercussions should a garage door fail. It has been estimated that as many as 30,000 people annually throughout North America suffer injuries that are a direct result of faulty garage doors – and this is based solely on the injuries that are reported subsequent to the need for medical treatment. While carelessness undoubtedly leads to some of this total, it is most often the lack or complete neglect of any maintenance that serves as the root cause for a majority of these personal, and sometimes fatal, injuries. Should the garage door inspection identify any potential or existing issues/concerns, the Markham Garage Doors team will recommend the best remedy (repair or replacement) and quickly and expertly restore optimal function or proceed with a new garage door installation. In some instances, the fault of an injury might not lie with a garage door but rather with the malfunctioning of an automatic garage door opener. Garage doors can weigh up to 500-600 kilograms and can, therefore, exert a significant downward force if their movement is not well controlled; this, in turn, can lead to serious and/or fatal injuries to people and pets or major damage to vehicles and property. Most often, an inspection of a garage door/garage door opener and a small tune-up may be all that is needed to reset the entire assembly in safe and proper working order; when the damage and any related repairs are more extensive in nature, it may be a prudent move to have one or both of these components replaced completely. 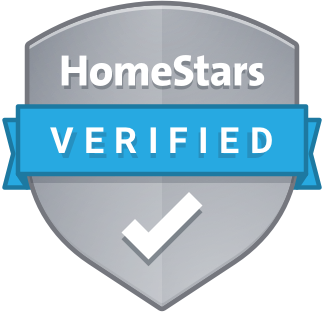 Whatever the need, homeowners in Toronto and throughout the GTA can rely on the award-winning repair and installation services offered by the experts from Markham Garage Doors. Protect your family from harm and avoid expensive property damage by ensuring that your garage door is operating at an optimal level this summer. Call the garage door specialists from Markham Garage Doors today at (905) 472-9178 or (416) 570-3667 to schedule a garage door inspection by our trained technicians at your earliest convenience. With the spring weather essentially having arrived in Toronto and the GTA, homeowners are looking forward to beginning their outdoor spring maintenance activities. Lawn care, flower bed preparation/planting, cleaning out the garage, and a general tidying up of the property are likely on most lists of planned activities over the next few weekends. For many homeowners, these to-do lists might also include several aspects of property inspection; that is, checking their trees/bushes, fence, deck, and roof to assess whether they survived the winter unscathed or if some attention/repairs may be required. Not to be overlooked or ignored among these inspections is the garage door – in fact, spring is actually the ideal time for garage door inspection and maintenance. Winter weather can exact a heavy toll on a garage door, affecting both appearance and performance. Furthermore, with the imminent return of better weather, it is quite likely that a garage door will see much greater use over the next several months than it does throughout the winter; this makes its reliable and safe operation a must for homeowners and their families, friends, neighbors, and pets too. Springtime garage door inspection and the attention to any maintenance needs will play important roles in ensuring a level of dependability, as well as prolonging the lifespan of the door itself. In most cases, the above steps can be carried out by a do-it-yourself homeowner. There may, however, be situations that arise during the inspection and maintenance processes where professional garage door repair services may be required – these can include such instances as a loss of tension in the torsion spring, fraying or loose cables, or a door that will not open and close smoothly. Should these types of situations arise, any parts replacements or repair needs are best left in the hands of trained technicians, like the specialists from Markham Garage Doors. When homeowners are in need of garage door repairs, they can depend on the award-winning service offered by the technicians from Markham Garage Doors, ranked by their customers as the number one garage door repair company in the Toronto and the GTA. See our Services page for additional information on the garage door maintenance and repair services offered by the experts at Markham Garage Doors. For all garage door inspections, repairs, and maintenance needs call the professionals at Markham Garage Doors today at (905) 472-9178 or (416) 570-3667 to book a service visit at your earliest convenience. In many Canadian homes, floor plans often include a room or rooms above the attached garage in order to maximize living space. Whether the style of home is single-detached, semi-detached, or townhouse living, builders will utilize the space above the garage for a living room, dining room, bedroom, or in-home office. While this concept often works from a functional perspective, it might not always be the most comfortable, particularly during the winter months, as this above-the-garage living space can get exceedingly cold. Throughout this season, occupants may need to huddle under blankets or wear sweaters when using these rooms and in extreme cases, need to use a space heater, while other family members are quite comfortable elsewhere in the home. While some of these factors may be limited to a particular builder or a specific floor plan, the lack of insulation in the garage ceiling would likely be a common denominator in the vast majority of homes. Most garages in Canadian homes are not heated; consequently, cold air circulates within the garage throughout the winter. This, in turn, chills the garage ceiling, which then chills the floor of the rooms above it and makes them colder, almost unbearably so, compared to the rest of the home. All of these services can be provided by the capable technicians from Markham Garage Doors. These specialists have the knowledge and expertise to complete any upgrades or installations in an efficient and timely manner to help homeowners with the insulation of their garage against the penetrating effects of cold winter weather. Should the resolution be made to install a new, insulated garage door, homeowners can select from an extensive collection of doors distributed and installed by the experts from Markham Garage Doors. Whether adding insulation to an existing garage door or installing a new insulated door, the Markham Garage Doors technicians can inspect the condition of the current weather stripping and, if warranted, address its replacement as well. Want to improve the insulation of your current garage door or upgrade to a new, fully-insulated door? Call the garage door service provider that can help with your particular needs. Call the specialists from Markham Garage Doors at today at (416) 570-3667 or (905) 472-9178 to request a no-obligation consultation. It is no secret that winter weather can be damaging to a vehicle, particularly the effects of road salt, sand, and frozen slush/ice on the undercarriage and side panels. There are secondary issues to this situation as well, such as the unsightliness of an unclean vehicle and the sheer sloppiness of these materials as they thaw/drip onto the garage floor after the vehicle has been parked inside for a while. Hand-washing the vehicle would likely be the favoured method, since any water sprayed from a hose, even the finest of mists, could be deposited on personal belongings as well as the garage door and its related hardware; depending on the temperature of the air in the garage (the vast majority are unheated), this mist/spray could freeze and ultimately lead to garage door maintenance issues that would contravene/override any cost-savings from washing the car at home. While the specific brands of products/materials would certainly be left to the discretion of the vehicle owner, having a floor squeegee or shop vac on hand will be very important in the overall process. Though not directly related to actually cleaning the vehicle, the use of either item to clear away the sludge/water that is deposited on the garage floor during the washing/rinsing stages will be critical in protecting the floor itself as well as the parts of the garage door that are in close proximity. Allowing slush/water to accumulate and potentially freeze at the base of the garage door or its tracking can negatively affect its structural integrity and/or its operating efficiency. 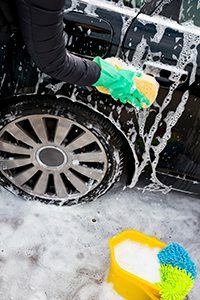 In many cases, the size of a garage, or at least the available floor space, does not lend itself to hand-washing a vehicle during the winter. Furthermore, time and circumstances can intervene to prevent homeowners from clearing away salt, sand, or slush from their vehicle before parking it in the garage. Add to this the cold temperatures and weather conditions experienced in Markham and the GTA throughout the winter and it creates an ideal recipe for potential garage door maintenance. Should any of these circumstances occur throughout the winter, they can not only cause a good deal of inconvenience when garage door dependability is needed the most, but it can also pose safety and security risks for the family and their possessions. To alleviate or at least minimize the worry and disruption, homeowners can rely on the garage door maintenance and repair professionals from Markham Garage Doors. 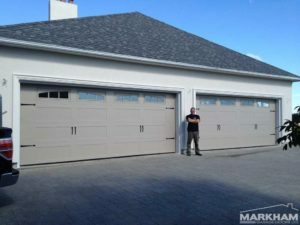 Trained technicians from Markham Garage Doors can usually provide a same-day response for all garage door maintenance needs in the winter and throughout the entire year as well. If you experience any damage or operational issues with your garage door this winter, call the maintenance and repair experts from Markham Garage Doors today at either (905) 472-9178 or (416) 570-3667 to schedule a service visit at your convenience.